Notes: Designed to meet the demand for ships with substantially better protection than the Victoria and 'Admiral' classes. 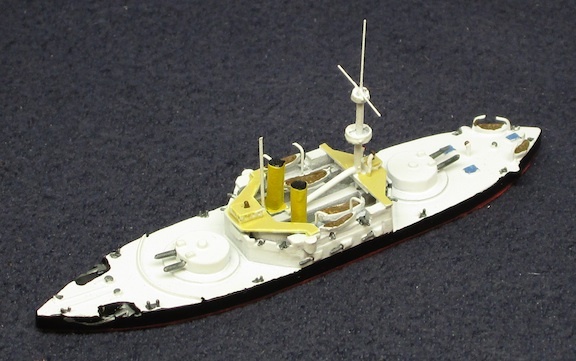 As with previous low-freeboard ships, Trafalgar and sister Nile were very wet and unable to maintain high speed at sea - typically 13-14 kits in moderate conditions. Both had active careers in the Mediterranean until 1897-98 when they returned to home waters for service as portguard ships prior to being placed in reserve. 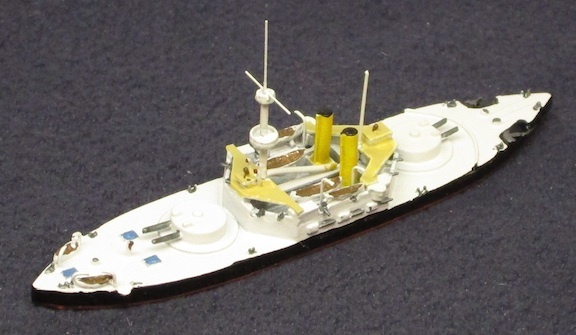 Trafalgar served as a drillship at Sheerness 1907-09; sold for breakup in 1911.